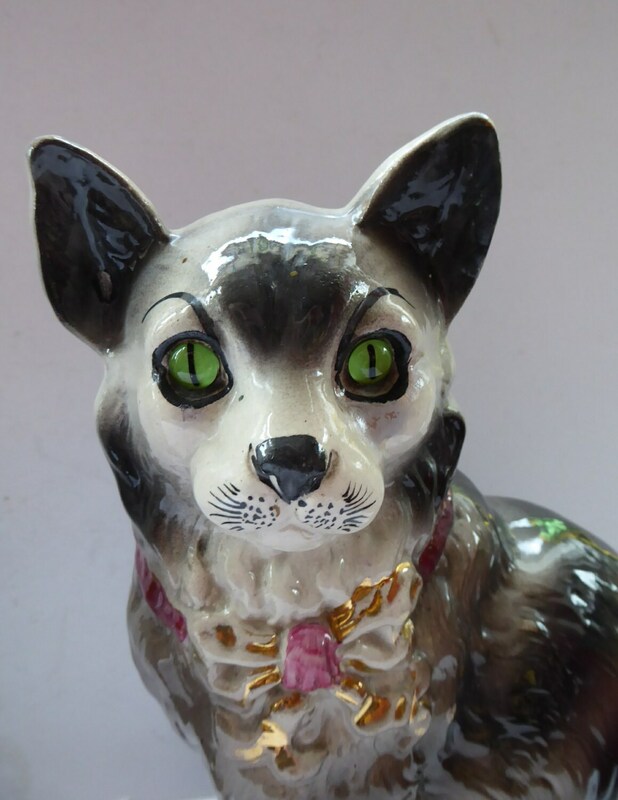 These are very rare examples of Bridgeness or Bo'ness Pottery cats. 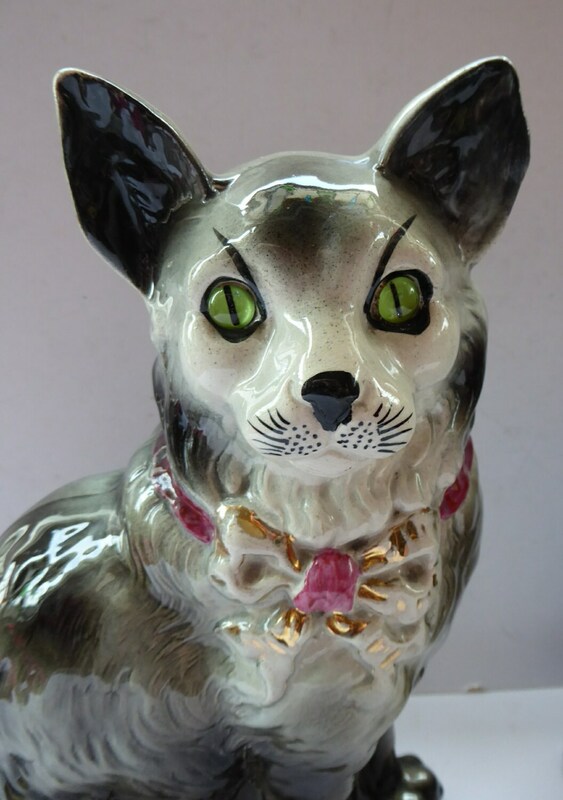 You more readily find dogs, lions or horses - and it is much more difficult to find such a fine pair of antique cats. 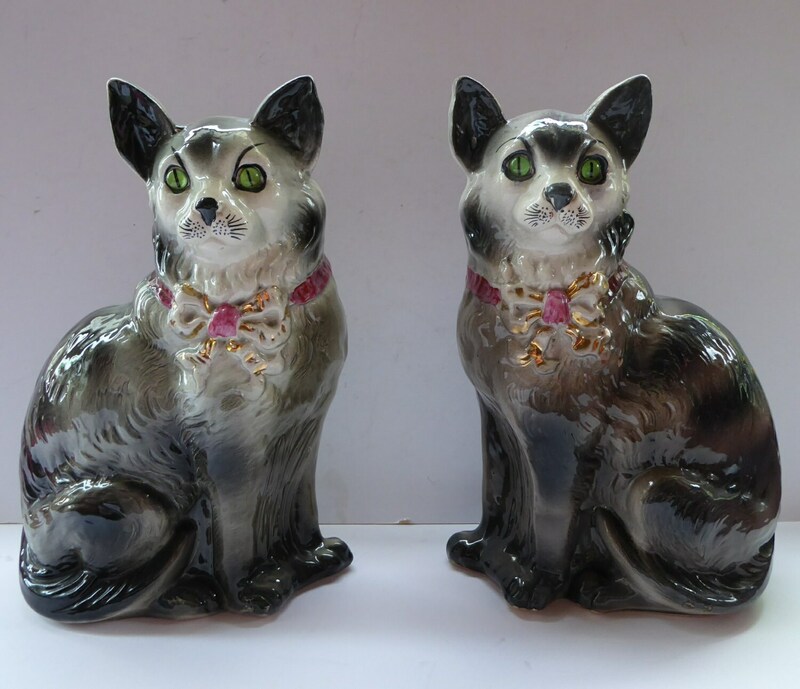 These cats are a true matching pair (facing opposite directiosn) - with original green glass eyes. 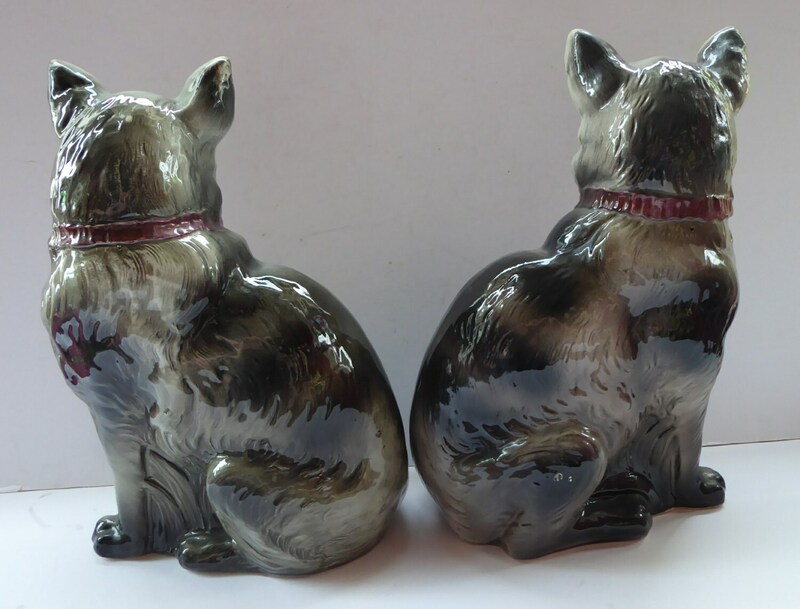 They are both in excellent antique condition - one car has a tiny restored chip to one of his ears - but otherwise purrrr-fect. 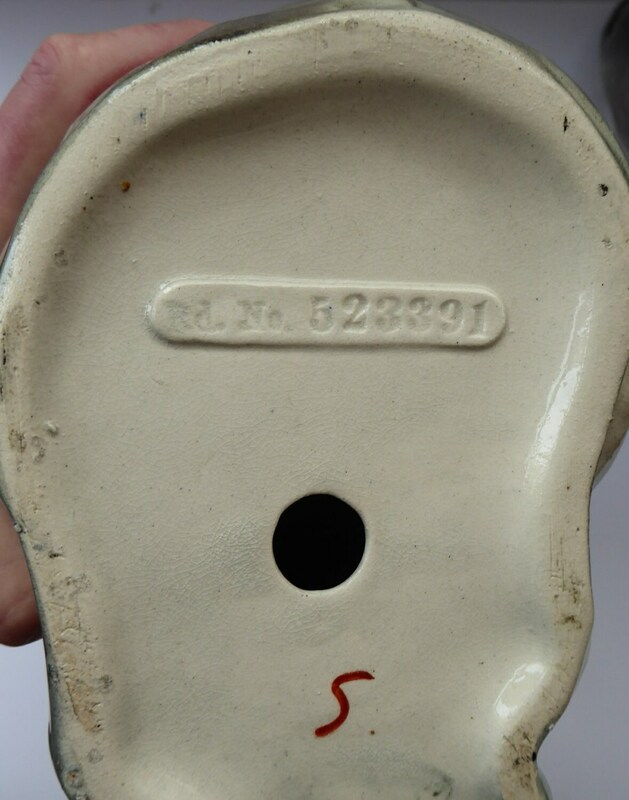 They are almost life size - being each 12 inches in height.